I have been using chile paste in a lot of my cooking lately, because it’s just so flavorful. I make my own and use it in braises, sauces and marinades. (In chili. Duh.) It takes just a bit of time, and if you portion it out in ice cube trays and freeze it, you’ve got a little bit to add whenever you want a little kick in your cooking. And a little kick is kind of nice. 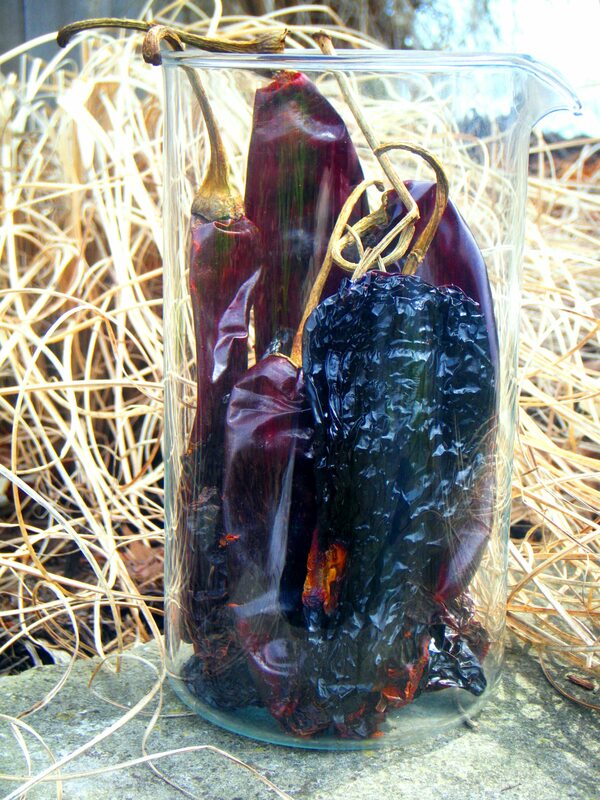 In a tall container, combine chiles and cover with boiling water. Allow to stand for 30 minutes. Drain. Remove the stems and the seeds. Do a thorough job removing seeds if you don’t want your paste too spicy, leave a few if you love heat. Add the cleaned chiles to the bowl of a food processor or a blender. Now make sure you wash your hands really well. PK tip: Don’t touch your eyes, for God’s sake, you’ll go blind. At least temporarily. Add a bit of water (1/4 c to start) and blend until smooth. If the chiles need a bit of help blending, add a bit more water (a tablespoon at a time). Portion out the paste into ice cube trays or small containers. Freeze. If you used an ice cube container, pop out the cubes once they’re frozen and put into a Ziploc. Playlist included Oh My Heart, by R.E.M.